A woman whose partner took his own life has told the Scottish Parliament she was repeatedly refused help in the week before he died. Two bereaved women who lost loved ones are calling for a full review of the system, arguing the men were let down by Scotland’s mental health services. A petition calling on the Government to halt the Brexit process has passed six million signatures. The Government has rejected a petition calling for Brexit to be stopped, which has gathered more than 5.75 million signatures. An online petition urging the Government to cancel Brexit has passed five million signatures. An online petition urging the Government to cancel Brexit has become the most popular to be submitted to the Parliament website with over 4,150,000 signatures. A petition calling on the Government to halt the Brexit process has passed three million signatures. More than 10,000 people in the north-east have signed a petition calling for Article 50 to be revoked. More than 500 people have signed a petition calling on Aberdeen City Council to declare a climate emergency. Campaigners fighting for a flight route between Aberdeen and Gatwick have passed another milestone. Frequent flyers have launched a campaign to persuade an airline to relaunch a “lifeline” route from Aberdeen. Sufferers of an “insidious” incurable lung disease have called on the Scottish Government to do more to raise awareness of the condition. A petition has been launched calling for a new Post Office to be installed in a north-east village after the doors recently closed on the previous facility. A petition has been created to urge the local authority to introduce traffic-calming measures near a north-east playpark. A petition to save a north-east town’s historic cathedral has been launched. A petition by families begging “heartless” council bosses not to clear away mementos on their babies’ graves has been signed by close to 1,000 people. 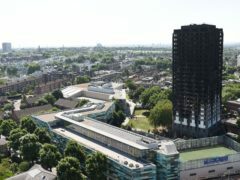 A petition calling on Theresa May to take action to build public trust in the Grenfell Tower Inquiry is expected to be debated by MPs after topping 100,000 signatures. 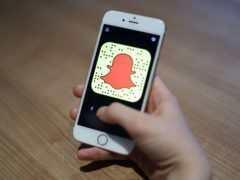 A petition urging Snapchat to undo a redesign to the app has been signed by more than a million people. A petition has been launched in a bid to halt the closure of a North-east bank branch. A petition has been launched in a bid to improve facilities at a North-east swimming pool. 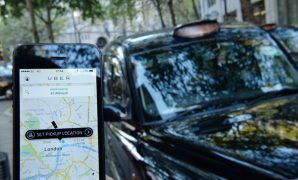 It appears Londoners are not happy with Transport for London’s decision to strip Uber’s licence in the capital after more than 500,000 signed a petition urging them to reverse the ban. Support is revving up for a bid to allow motorcyclists to use Aberdeen bus lanes. A petition to block a controversial Travellers camp at a former council depot has already attracted 290 signatures. Around 2,000 people have signed a petition in a bid to prevent a North-east bank from closing. Thousands of people have signed a petition to make reliable rent payments proof that an individual is able to afford a mortgage. The Houses of Parliament became the backdrop for a large projection against Donald Trump’s state visit on Sunday. Almost 10,000 people in the North-east have signed a petition to the UK Government opposing an official state visit by President Donald Trump. A petition calling on airport chiefs to rethink a controversial drop-off charge has gained more than 2,500 signatures.